TOKYO – Japan is looking at using tax cuts and at delaying tax hikes as part of a new growth strategy aimed at boosting the economy. In a live interview televised on June 9th the Prime Minister of Japan Shinzo Abe said that the government is now looking at potential changes to tax regulations which could ” further improve the real economy and put it on a path of robust growth”. According to the Prime Minister, the government now hopes to decide upon the details of a new economic growth strategy by the end of the third quarter of this year, and this new plan will include ” a dramatic investment tax cut” to encourage companies to increase their capital expenditures. 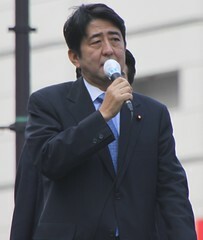 Shinzo Abe also suggested that the government is now looking at delaying the planned hike to consumption taxes, which would have seen the tax rise from 5 percent to 8 percent next year, and to an even higher 10percent by the end of 2015. The two changes to the tax regulations are intended to work in unison as part of wider set of economic policies, often referred to as “Abenomics”, aimed at reducing the country’s sovereign debt, which has reached more than twice the national GDP.